Advances in our understanding of early childhood psychopathology have led to an increase in reliable, valid, and developmentally appropriate rating scales for infants, toddlers, and preschoolers. Caregiver-reported rating scales are helpful to the assessment process because they allow for the standardized gathering of information from the people who know the most about the child’s behavior. 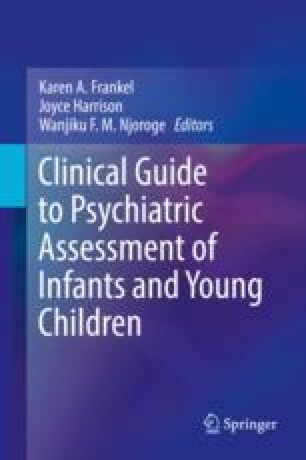 In this chapter we discuss the use of adult-report rating scales, including both comprehensive measures and brief screeners, in the clinical assessment of social-emotional and behavioral functioning among children from birth to 5 years of age (“young children”). We review the strengths and limitations of rating scales in clinical assessment, how to select informants and gather information, and the importance of contextual and cultural factors in the selection and interpretation of rating scales. Next we describe the goals and contexts of clinical assessment and how these factors impact the clinical utility of rating scales. We provide guidelines for selecting measures, assessing psychometric properties, and interpreting results. The chapter concludes with a case vignette.